On the occasion of the 62 anniversary of the assault on the Cuartel Moncada, National Rebellion Day, the Embassy of Cuba in Venezuela sponsors today in this nation a week of cinema of the island. The exhibition, which also has the support of the Cuban Institute of Cinematographic Art and Industry, will run until next July 31 at the headquarters of the National Film Foundation. 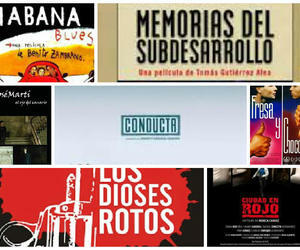 In those days, the Caracas public can enjoy 17 films that comprise feature films, shorts and cartoons. Also they will present the documentary Chavez and Fidel, farewell (2014), directed by Roberto Chile, on the human dimension of two Latin American leaders, their relations and friendship that united them.